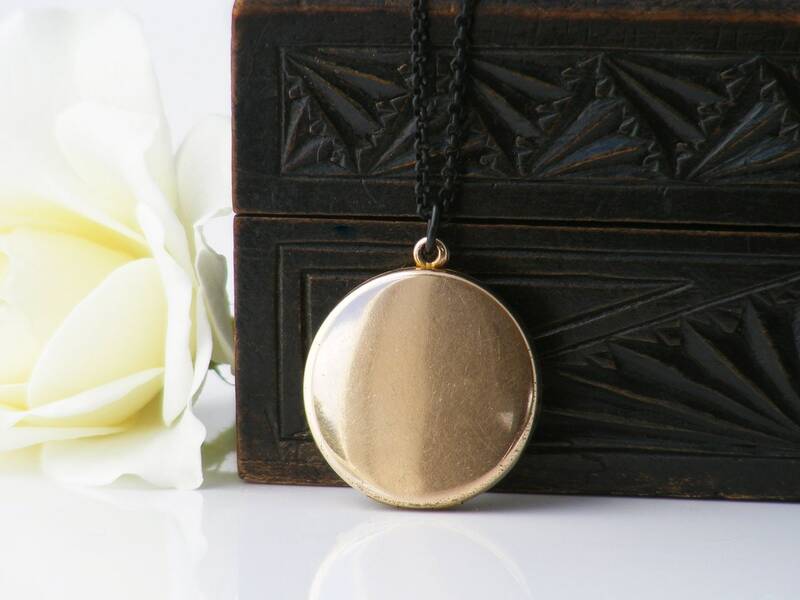 Polished gold fill on the outside and matte finish on the inside, yellow gold with the lovely rosy tint of old gold on the outside. The inside has both original photo rims in place. 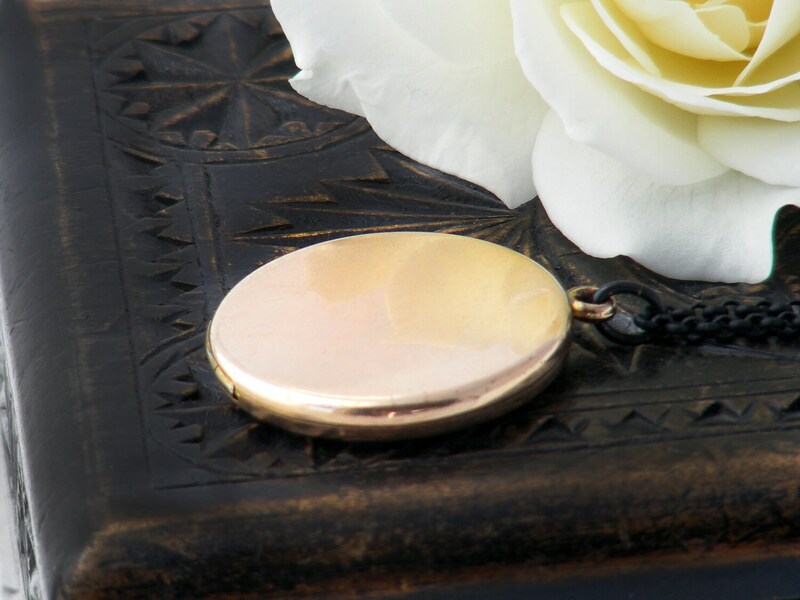 The locket hinges at the bottom edge with a beautifully engineered and barely visible integral hinge. 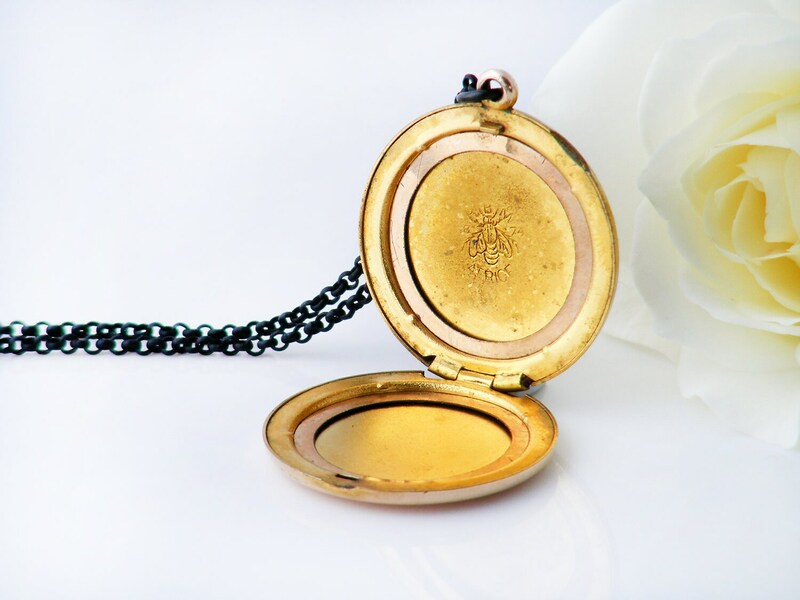 The locket carries the maker's mark of the renowned firm 'R.B.M. Atrice 1874' (around a stamping of a bee) on the inside for Attleboro, Massachusetts, USA manufacturer R.B. MacDonald & Company, Inc.
Locket Size: 1 inch or 26mm diameter, with a slim profile of approximately 4.5mm. Presented on a new black chain, 34 inches or 86cm long. 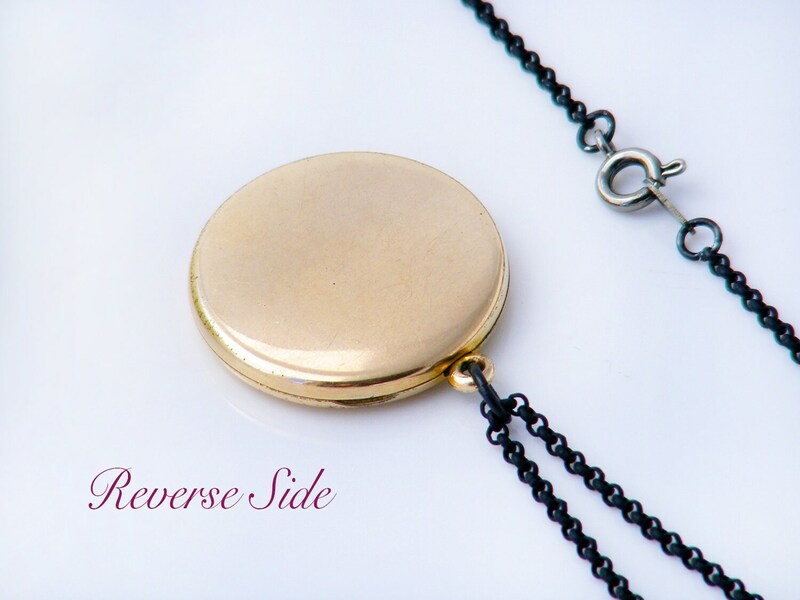 The chain is blackened brass with tiny copper highlights to the links. Photograph 2 shows the locket and chain on a life size torso.. Weight: 8.6 grams without the chain. Condition: Very good. 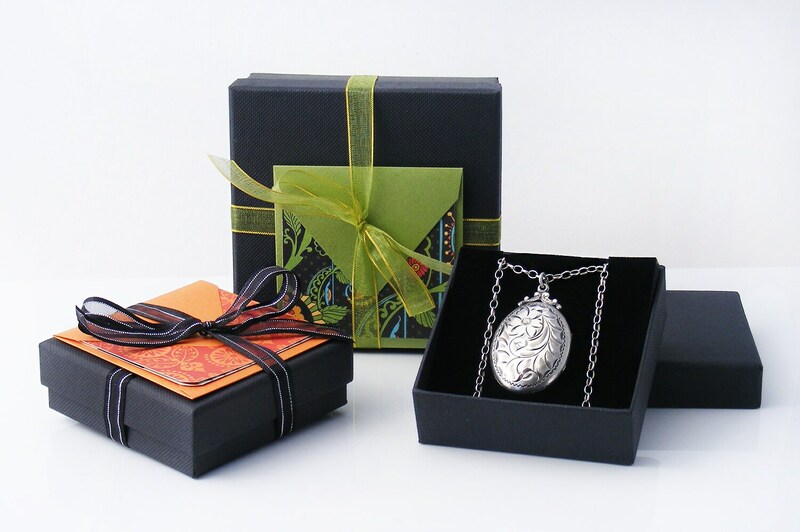 The locket covers have mild all over surface wear, no dings or nasty scratches. Please note that any dark patches on the covers are camera reflections, not marks. The locket closes well with a nice click, the beautiful integral hinge is excellent.